We give honor to Mother Earth, her birthday celebrated the weekend of April 22 with many great events in the Bay Area, “Love Yo Mama” in East Oakland hosted by Nehanda Imara of Citizens for a Better Environment, one of my favorite community events. My granddaughter and I enjoyed visiting the Tassafaronga Farm, 975 85th Ave. 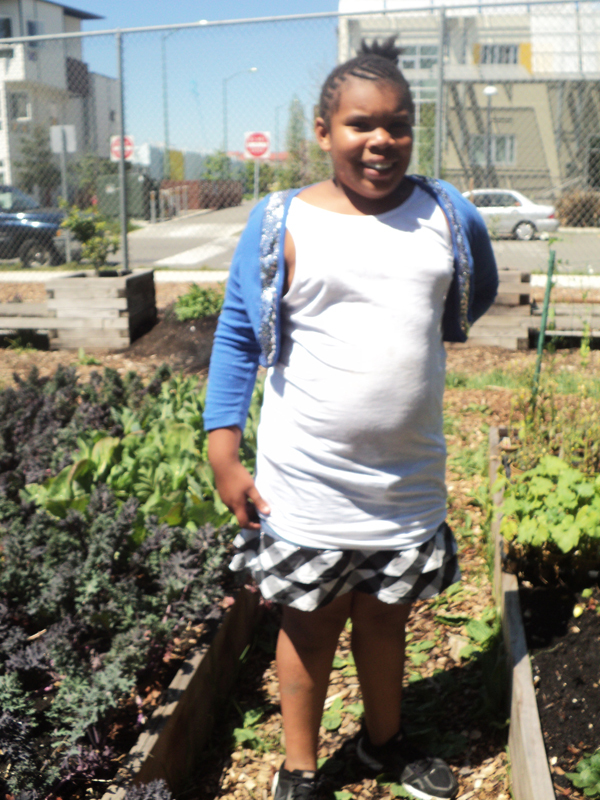 Yes, there is a farm in East Oakland. It makes a lot of sense when one thinks about Oakland history; the southern part of the city was all farmland initially. 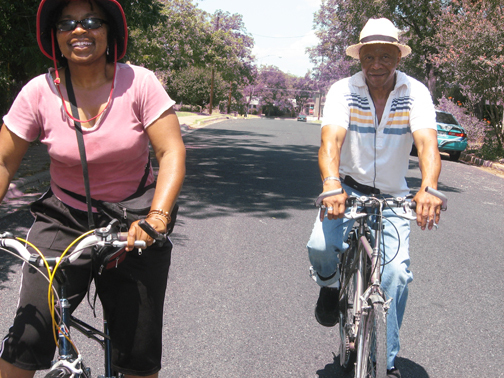 Folks are just reclaiming that legacy in the midst of fighting factory and industry pollutants. We saw fresh chard and broccoli, lettuce and other fresh greens. Visit www.cbecal.org. Happy Mother’s Day to all the mothers and nurturers this month. I have been really feeling connected to the Great Mother Yemaja for the past couple of months now. One of the highlights last month was connecting with Wanda Brown, who recently rejoined the family after 27 years away. Friday, April 13, was her lucky day, affirmed just days later at her 50th birthday April 17, her first celebration as a free woman in many years. We were so happy to have our sister home. She is the first case out of San Francisco to use the Habeas Project. We hope her case will set a precedent. When women are released, it reminds me of what it must have felt like when Jan. 1, 1863, rolled around and the Emancipation Proclamation was signed, then again Dec. 15, 1865, when the re-enslaving Black Codes were enacted. Families were still looking for separated loved ones – a mother sold away, a child sold away, a sister or brother sold away. We knew where Wanda Brown was, but it took a long time to save for her freedom. The California Habeas Project is a collaboration that enhances justice for domestic violence survivors incarcerated for crimes related to their experiences of being abused. Visit http://www.habeasproject.org/. TCHP is housed at Legal Services for Prisoners with Children. We can’t forget what happened to MOVE May 13, 1985, Mother’s Day weekend, and the incarceration of the Move 9 for all these years and the continued denial of parole. Visit http://www.onamove.com/. Mumia Abu Jamal made 58 last month and the 40th anniversary of Albert Woodfox and Herman Wallace’s stint in solitary confinement was commemorated nationally and internationally with a rally on the Louisiana Capital steps. Over 200,000 signatures were delivered to Louisiana Gov. Bobby Jindal’s office. The signatures represented each day of solitary confinement for 40 years or 14,600 days. Albert has a hearing scheduled for May 29. Robert King’s “From the Bottom of the Heap, the Autobiography of Black Panther Robert Hillary King” is coming out with a second edition. One of the new chapters looks at the n-word. Perhaps Jackson should be sent a copy gratis (smile). My students were shocked and appalled when they learned of the Angola 3 case. They could not believe in this country that such travesties exist, despite having just completed reading Michelle Alexander’s “The New Jim Crow: Mass Incarceration in the Age of Colorblindness.” I’d looked forward to hosting an event at the college looking at solitary confinement, what Amnesty International claims along with others as a human rights violation. I’d planned to have women I’d met at Occupy San Quentin in February, who’d experienced such confinement, speak, show Jean’s film, have psychology students address the health issues surrounding such confinement, and close with an open discussion. No one at the college was interested, despite the many students we have on campus walking around in electronic shackles. So I showed the film to one of my four classes and had them write arguments based on themes from the film. We want to wish Robert King a happy 70th birthday May 30. Visit http://angola3news.blogspot.com/. 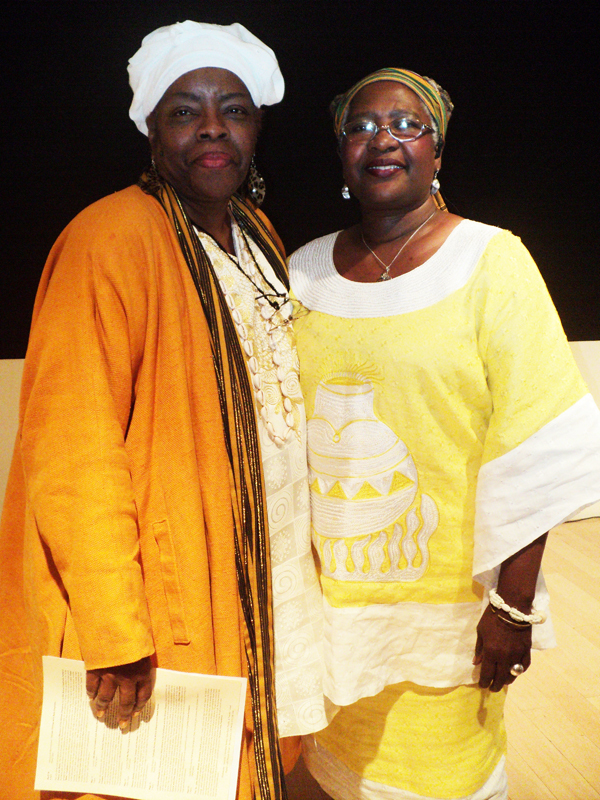 But back to Mother’s Day, for the past month, I have been wearing white – hanging with elders like Luisah Teish, an author, storyteller and priestess of the Ifá-Orisha faith from New Orleans, Louisiana. She is the founder and president of Ile Orunmila Oshun. She has an art show opening this month at The Sacred Well, 536 Grand Ave. in Oakland. For information about the reception and artist talk, call (510) 444-WELL or visit http://www.sacredwell.com/. Kevin Epps screens “Straight Outta Hunters Point 2” on Sunday, May 20, 2 p.m., at the Bayview Opera House Ruth Williams Memorial Theatre, 4705 Third St. in San Francisco. “As a filmmaker and activist,” Epps says, “this is the most important screening of all, premiering the film in the neighborhood where it all started.” The screening takes place during Malcolm X’ birthday weekend, and it will be hosted by Kevin Epps himself to celebrate the spirit of community organizing and activism. For information, call (415) 724-8610 and visit www.kevepps.com. CubaCaribe expanded to the East Bay last year, and this eighth anniversary year they continued to grow with a lecture series at MoAD, master dance classes, a community party and a weekend of new work choreographed by Ramon Ramos Alayo, Alayo Dance Company. I missed the opening weekend in San Francisco at Dance Mission; however, I was able to attend weekend two at Laney College in the East Bay and see Alayo Dance Company’s premiere of “Oil and Water.” The program opened with two short works: “Grace Notes,” featuring musician Jeff Chambers on electric bass, and “Layers of Love,” a work featuring four women dancers. The first work featured three dancers, two men and one woman. The choreographer was one of the dancers, Fredrika Keefer and Victor Talledos the other two. Abstract, the shorter works were classic Alayo – the artists playing with in “Grace Notes” five bungy-type chords stretched across the stage, each dancer partially entangled. The solos, coupled with the dancers intertwined with one another against a visual backdrop, a graffiti decorated wall, was lovely – each dancer in either solid white (Talledos), black (Alayo) or red (Keefer). I thought it interesting that these colors are the colors associated with the Egun or ancestors. Alayo says in his notes that the dancers and musicians strike a path towards one another, however circuitous, as the composition takes them away from the path; the distance is easily bridged – each of the trio never out of the other’s sight. Sounds like our angels or ancestors – they are with us, able to offer advice and work on our behalf if called upon. “Layers of Love” is a beautiful work, the four dancers – Lauri Anderson, Shelly Davis, Alisa Dillion-Ogden and Fredrika Keefer – paired, their gowns matching, either blue or pink with white accents. The theme is love – like a layer cake, Alayo says there are three levels: chance glance into the other’s eyes and one is gone, hooked, captured (smile); second, heart expansion, where one gives and receives love; and third, the move to create a space where the two souls, now one, manifest a sacred space where they hold each other in clarity and peace. “Layers” is more of an emotional interaction, Joshua Bell and John Williams’ music creating a mood where the dancers carry us along – the audience willingly participating in a journey where lovers’ paths traverse and collide, the two souls never apart for long. At least that is the hope once the song ends. You have heard the saying, not to cast one’s pearl after swine, and when I think about this government’s investment in fossil fuels and the inevitable errors involved when we disregard the rights of other creatures to life as we disturb their natural habitats – drilling and digging in their living rooms, creatures who have just as much right to this planet and her gifts, perhaps more, than we, homo sapiens – I think about being a descendent of Pearl River county Mississippi, my birth gem pearls as well. “Oil and Water” looks at the recent spills in the Gulf of Mexico and the lives lost along the Mississippi River in Mississippi and Louisiana, using Kyleigh Nevis’s video design that projects images and text on the canvas behind the cast. Pelicans and crabs, fish and the ocean are covered in thick gooey oil, while in the foreground on stage are dancers dressed in blue for the waters. 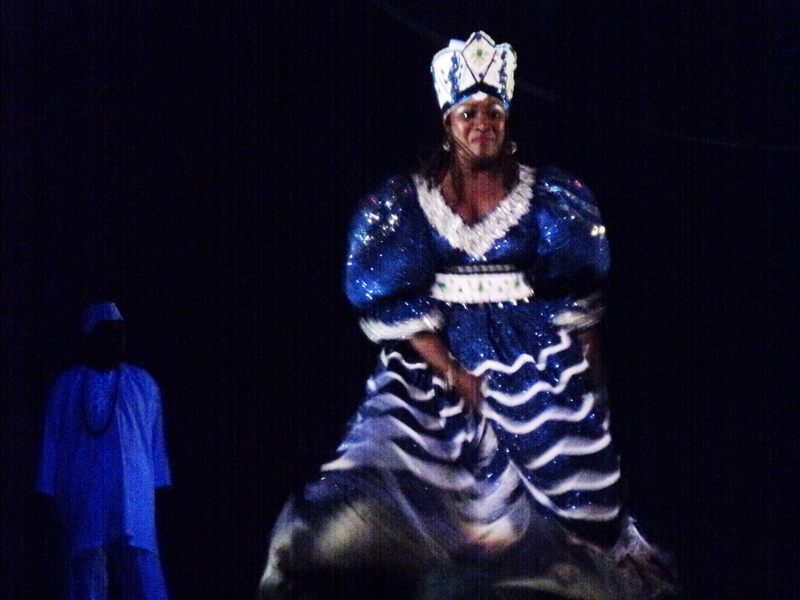 Mama Yemaja sits above the stage suspended while her children dance below, tell stories and grieve over the destruction of the beaches and pollution of the waters and the nasty gooey intoxicating oil, which covers the water like a blanket personified as the oil dances across the stage –bodies costumed in plastic. When the curtain rises, the blue costumes glow in the dark; it is really lovely. Then when the lights come up, there are singers and drummers stage right, and in front there is a lovely young goddess dancing, others seated nearby. Throughout the work, dancers from different sides of the stage perform, coming together in the center of the stage, skirts twirling as they spin and turn, moving to either exit. When Mama Yemaja is lowered to the earth, the energy shifts again. She is commanding and powerful. Her fury at man is palatable, as is her gentleness to her creatures. The soloist is excellent as is the entire company, but hey she’s the star (smile). I don’t know why we are not given her name or the names of her children as soloists. Yagbe Onilu is the lead singer. In CubaCaribe, Onilu told stories and led us in a song. He was quite dramatic this weekend as well, and even though the words were in Yoruba, we got the gist of his message. “Oil and Water,” which pulls on the strong histories of Santeria, also integrates the vocabulary of modern dance and live Cuban folkloric music in a unique ritual created in collaboration between Ramon Ramos Alayo, Susana Arenas Pedroso and Alain Soto. Besides Alayo Dance Company and the chorus and musicians, Grrrl Bridge also participates. There were so many surprises in the work, especially when Yemaja gave birth. This male-female duet was really lovely – Yemaja seated while her children rejoiced in their new life. Alayo Dance Company premieres are always classic, whether that is the first piece I saw a while back which looked at the enslavement of African people and their resistance or another work which looked at Black leadership – Malcolm X and President Obama, maybe Martin King. The first was premiered in Black Choreographers Here and Now, when the choreographer was new to the San Francisco Bay Area. Later when the work was performed in its entirety, I remember seeing Elouise Burrell standing on a platform above our heads singing – just like Yemaja in “Oil and Water,” there was no net. Alayo likes his spirits in the air. Visit www.cubacaribe.org. Friday, May 18, there is a benefit for Avotcja, musician, poet, radio host, at Ashkenaz Music and Dance Center, San Pablo at Gilman Street in Berkeley, at 8 p.m. Avotcja has MS and she is being proactive. She is still mobile; however, just case she becomes wheelchair bound, she can keep trucking literally. The fundraiser is to purchase a lift for her van. She has a wheelchair already. She throws a terrific party! Visit http://www.ashkenaz.com/2011/may12.html and http://www.avotcja.org/. The U.S. debut of Raices Profundas Mixed Repertory, co-presented by SFIAF and Plaza CUBA, opens the SFIAF Wednesday, May 2. The festival runs through Sunday, May 6, at the Marines Memorial Theatre, 609 Sutter St., San Francisco. Visit http://www.sfiaf.org/2012Festival/artists/Raices-Profundas.html. Raíces Profundas comes to SFIAF with an incredible show that displays the talent and virtuosity of the group and its director-choreographer Juan de Dios Ramos. This is the first time this ensemble has been to the United States, and while the company is in town there will be classes at Dance Mission and other community events. The performance follows the dynamic history of Cuba’s music and dance genres, starting with the colorful Afro-Cuban traditions, including Palo Monte and the fiery Orisha dances of the Yoruba pantheon – like Elegua, Oshun, Ogun, Chango and Yemaya. The second half of the show gives the audience a glimpse into Cuba’s popular music and dance styles, such as Chankletas, Son, Cha Cha Cha and contemporary Cuban Salsa. The two parts of the show are tied together by the group’s interpretation of the sensual and provocative movements of the Rumba cycle: Yambu, Guaguanco and Columbia. This year’s Malcolm X Jazzarts Festival is Saturday, May 19, Malcolm X or El Hajj Malik El Shabazz’s birthday, from 11 a.m. to 7 p.m. at San Antonio Park in Oakland, 18th Avenue and Foothill Boulevard. Join the Bay Area community in celebrating a people’s hero, Malcolm X. Eastside Arts Alliance began what is now a community institution over a decade ago. It is an event for the entire family with live jazz mingling with hip hop, dance and spoken word stages, not to mention the visual art, great food and community partners who help pull folks into activism and service. This year the lineup includes Daria Nile Trio, Avotcja and Modupue, a tribute to Billy Bang featuring an all-star string summit with Michael White, India Cooke, Kash Killion, Tarika Lewis, Sandy Poindexter, Muziki Roberson and Eric Hunt. The Kev Choice Ensemble closes the festival. Visit www.eastsideartsalliance.org. On Sunday, May 20, violinist Michael White and vocalist Leisei Chen will perform at a special fundraising concert at the Eastside Cultural Center by the Michael White Quintet with White on violin, Leisei Chen on vocals, Muziki Duane Roberson on piano-vibes, Kash Killion on cello-bass, Kenneth Nash on percussion at 7 p.m. Tickets are $15. The ESCC is at 2277 International Blvd. in Oakland. All proceeds benefit the Malcolm X JazzArts Festival. “Young, gifted and Black / We must begin to tell our young / There’s a world waiting for you / This is a quest that’s just begun.” Nina Simone wrote these words after seeing the Broadway production of “To Be Young, Gifted and Black,” the story of Lorraine Hansberry, author of “A Raisin in the Sun.” Performances at the Multi Ethnic Theater (MET), which first produced the play in 1994 at the Gough Street Playhouse at 1620 Gough St. near Bush in San Francisco. Previews begin Friday, May 4. Their current production, in association with Custom Made Theatre, is presented because so much of what Ms. Hansberry said in the ‘50s and ‘60s still needs to be heard today. The official opening night is Tuesday, May 8, at 8 p.m. For information about the run, call (415) 333-6389 or email lewiscampbell@sbcglobal.net and check http://wehavemet.org. Lorraine Hansberry was born on May 19, 1930. Her play “A Raisin in the Sun” is read by students throughout our country and around the world. She died on Jan. 12, 1965. Were she alive today she would be 82 on May 19. MET dedicates this production to her memory and to Stanley E. Williams, founding artistic director, and Quentin Easter, founding executive director, of San Francisco’s Lorraine Hansberry Theatre, which was the first theater company to occupy the Gough Street Playhouse. The light grid above the playing area was installed by the Lorraine Hansberry Theatre. “Bitter Melon” is Raissa Simpson’s site specific work performance, May 25-28 at Dewey Monument, Union Square in downtown San Francisco. Steeped in the cultural histories of San Francisco’s African American and Filipino communities, the work will take place throughout the square’s central plaza with large scale projection onto the monument itself, intermingling performers and public. The work uncovers the hidden realities or parallels in the African American and Filipino cultures. This new performance cracks open questions to the contradictions of life: national and cultural identity, natural disaster and war – the power of loss and redemption. The free performances will be given Friday, Saturday and Sunday, May 25-27, at 8 p.m. or at sundown. Union Square Park is bordered by Geary, Powell, Post and Stockton streets in San Francisco. For more information about “Bitter Melon,” visit www.pushdance.org or www.deweylive.net. Not in over 30 years has a professional company performed “A Raisin in the Sun” in the Bay Area. Hailed as “one of a handful of great American plays,” this monumental performance is directed by African-American Shakespeare’s L. Peter Callender and runs May 12-27 at the African American Art and Culture Complex’s Buriel Clay Theater, 762 Fulton St., San Francisco. Call (415) 762-2071 or visit www.African-AmericanShakes.org. AXIS Dance Company performs “Full of Words” at the SFIAF May 12 and 13 at 609 Sutter St., San Francisco, at Marine’s Memorial Theatre. Visit http://www.sfiaf.org or call (415) 399-9554. AXIS commissioned U.K. choreographer Marc Brew to create “Full of Words,” which had its world premiere at the Malonga Center in Oakland last fall. Judith Smith, AXIS’ artistic director, had been following Marc’s career since he became disabled in 1998 in a car accident while on tour with a ballet company in South Africa. “Blues for an Alabama Sky” by Pearl Cleage, directed by Michele Shay, features Lorraine Hansberry Theatre Artistic Director Steven Anthony Jones, who had to step in after the lead actor, Robert Gossett (TNT’s The Closer) had to return home when his wife became ill. Blues runs through May 12 at 450 Post St. in San Francisco. Visit www.lhtsf.org or call (415) 474-8800. Union Square Live 2012 presents free music, dance, theater and movies in Union Square from April through October at 12:30 and 6 p.m. on Wednesdays and 2 p.m. on Sundays; visit www.unionsquarelive.org or call (415) 477-2610. The 2012 Yerba Buena Gardens Festival kicks off May 6, 1-2:30 p.m., with the Omar Sosa Afreecanos Quartet. Visit www.ybgfestival.org or call (415) 543-1718 for more detailed information. All events are free. The world premiere of “Tenderloin,” commissioned by the Cutting Ball Theater, opened there April 27 and runs through May 7. Using transcripts of interviews conducted by seven San Francisco actors, “Tenderloin” takes theater out into the neighborhood and brings the neighborhood into the theater. From these living sketches, a portrait of the Tenderloin itself emerges. Visit http://cuttingball.com/season/11-12/tenderloin/. 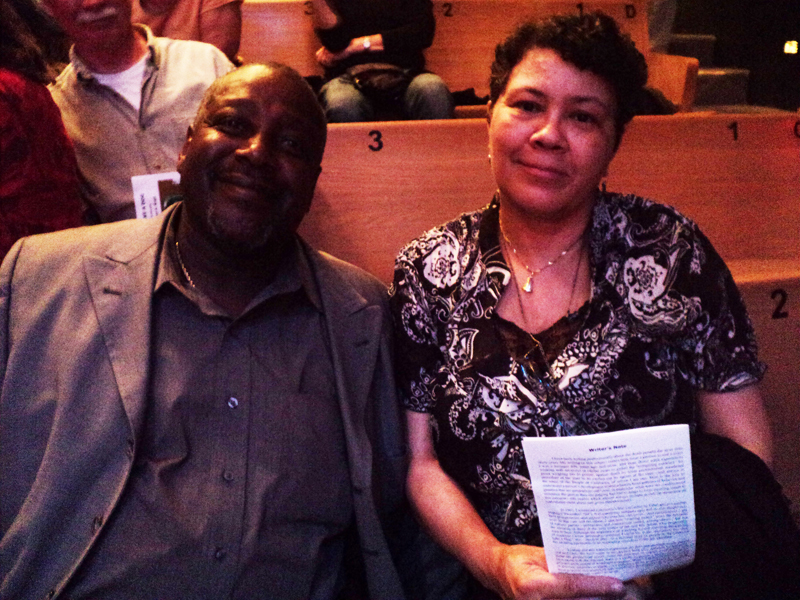 Sweet Honey in the Rock performs at Zellerbach Auditorium at UC Berkeley Sunday, May 6, 7 p.m. Call (510) 642-9988 or visit http://www.calperformances.org/performances/2011-12/world-stage/sweet-honey-in-the-rock.php. Join Sister Makinyah Saturday, May 5, 12-2 p.m., for a healthy organic meal served by Sister Naderi Jomoke. She will share her secrets to longevity and good health. She’s 85 years, 10 months into her life, or 31,355 days. “From the Inside Out: Food as Medicine,” workshop and luncheon will be held at the Harriett Tubman Terrace Apartments, 2870 Adeline St. in Berkeley, across from Berkeley Bowl. The cost is $20 general and $15 for junior high students and seniors. Money orders and checks are accepted. Make them out to Educational Associates. For reservations and information, call (510) 848-0994. “From the Inside Out: Food as Medicine"
Previous articleBig D does it big! It was an awesome post. Nice post.keep share like this.